To post answers to other people’s questions. As questions and answers accumulate they’ll be moved off to their own pages to become a growing resource for other enquirers, indexed from this page. So don’t be shy: fire away! Christian Bookshops — who needs them? Christian Wholesalers: is there anybody out there? How do I go about setting up a Christian Bookshop? How do I keep track of the latest updates? How do I register a shop in the Directory? What are the criteria for including a shop or business in the directory? What happened to Living Oasis? What happened to the SPCK/SSG Bookshops? What’s on in the world of Christian Bookselling? Where are the Guest Posts? Where can I find information about running a church bookstall? Where can I obtain Bibles in other languages? Where did the Book of the Month page go? Where did the Swap Shop page go? Where is the Day of Prayer page? Where is the Jobs page? Who’s using facebook in the Christian Book Trade? I have spoken to Authentic today about the availability of the Youth Bible. They do not have a reprint date for this popular bible and are obviously missing out on what certainly for us was a best seller in local schools and churches. Customers still do not believe me when I tell them it is unavailable and say “well I will just have use Eden or Amazon” (they can try). 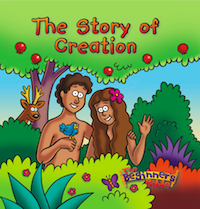 Does anyone in Christian Bookshop land know of any alternatives to this bible that go well with churches and schools. Hi, We are a small Christian charity based in London, England. Our Director, the Rev. John Ryeland has just published his book ‘Encountering the God who heals’. We are new to the intricacies of book distribution and wondered if you could suggest how we get it ‘out there & read’? Any insights would be a blessing. Many thanks in anticipation. Hi Denise – if you’re on facebook, I suggest requesting membership of the Christian Authors, Booksellers & Publishers group, where you’ll be able to share details of the book and bounce ideas around direct with prospective buyers at bookshops and wholesalers. Thanks Phil. I will follow your suggestion.